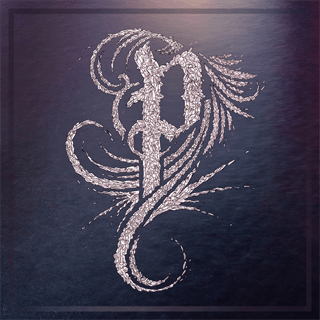 Progressive rock youngsters from Plano in Texas, Polyphia released their debut album entitled Muse earlier this year, and so far this recording has been highlighted as one of the best debuts released in 2014. The quartet has been extensively touring in support of the album. Prog Sphere teamed up with the band for an interview, in which they talk about the album’s creative process, songwriting, touring and more. You have just put your debut album Muse, it’s been out for less than a week, and it received already great reviews. Are you satisfied how the whole post-release process is shaping? The reception of Muse has been absolutely wonderful! We couldn’t have asked for a more generous lot of fans; without them the record wouldn’t exist. We’re optimistic that the record did well enough to open doors for us that’ll allow us to give back to fans more than we ever have! What can you tell me about the creative process that informed Muse? How long did it take you to complete work on the album in its creative phase? The creative process for Muse was quite hectic. We spent about 3 months planning our fundraising campaign, and another 2 months executing it; with writing in between. We showed up to the studio with about 40% of it written, and worked non-stop to finish the album for the duration of our month long stay. There is a general feeling of today’s progressive scene being too calculated and dull. Polyphia succeeded in breaking new grounds by introducing new elements in the music, while maintaining the distinctiveness of the genre. What is your take on this? Incorporating new approaches to the writing of music is what keeps it fresh. We’d like to show people that you don’t have to recycle the same methodical clichés time and time again in order to make good songs! Scott and Tim start normally TO write with a DAW, so every idea is recorded as soon as it is played. Each song is strung together piece by piece and then rearranged so that the actual compositions have a very musical flow. Four songs out of seven on Muse feature guest appearances by Aaron Marshall, Nick Johnston, Jason Richardson and Jakub Zytecki. How was it working with them and how did their creative input shaped the song structures? The songs were actually structured out before they laid down their parts. Each part was written specifically for each soloist, with everyone’s distinct style and musical voice in mind. It was an absolute pleasure hearing some of our favorite guitarists on our own music. The press release of the album reads that the album is equally inspired by guitar wizards Guthrie Govan and Rick Graham, but it also includes the pop sensibility of the R&B / rap world. It tells a lot about the album’s eclectic side. How did you go about channelling your inspiration into writing? Scott and I have been influenced by virtuoso guitar playing since we began playing guitar, so naturally that style works its way into our playing without too much effort. We both really like Rap and Pop music so we would start with those genres, and see if we could emulate the feels and vibes from specific songs from each style. Have you managed to make any new discoveries as the time passed by during the creative process? Do you think that at some point of that process your writing approach changed drastically? With each release our writing processes have already changed drastically. When we first began writing music together, the primary focus was more on the technical side of our instruments. Now our end goal is to write music that is actually musical and to evoke emotion/feels within our listeners. What were the biggest challenges you faced when working on Muse? Time crunch/deadlines for sure. It is very stressful to be creative knowing that you will eventually have to turn in your work. Your music can easily appeal to the fans of Intervals, Periphery, Animals as Leaders, and already mentioned Guthrie Govan. Barring comparisons to other bands (which is sure to give people misleading impressions) how would you describe the sound of Polyphia? Muse can be described as guitar-driven, instrumental music with ear catching melodies and hooks that can appeal not only to musicians, but music listeners in general. We use Ernie Ball Music Man guitars and Fractal Audio Axe FX IIs to record our music. In October you will once again hit the road in North America, this time as support to The Contortionist and Intervals. That is going to be quite interesting experience, don’t you think so? It’s going to be a grand ole time! The Contortionist is a wonderful group of musicians, as is Intervals; watching them should be quite educational to say the least. Also, that tour has a few Texas dates on it, so it’ll be nice to play at home for the first time in a while! What are the chances to see you guys performing in Europe? Are there any plans for it? Perhaps in 2015? The plan has always been to come to Europe as soon as circumstances permit it. I have a feeling we’ll be meeting some overseas friends VERY soon. Work hard. Nothing comes easy. Love what you do. How do you see your music evolving in the future? One of our main priorities for our music is retaining our ability to do whatever we want with it. So with each new release, we would love to stretch our musical wings and see how versatile we can make it. We’d love to touch literally every genre, so we’ll see what happens!